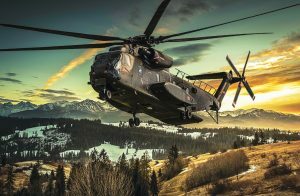 An advanced 5-day course covering all aspects of tactical and administrative Helicopter Landing Zone (HLZ) surveying and reassessments, including a review of Safety of Flight (SoF) procedures, and survey package submission to the final approving authority. Surveyors will understand how to implement the ‘highest’ level of safety standards when evaluating potential hazards to aircraft, personnel and/or equipment, how to properly assess a potential site for usage and provide recommendations based on unit or mission requirements. Note: Course instruction also includes an introduction to Host Nation Surveys (and review), as well as, Missile Alert Facilities (MAF) and Launch Facility standards and procedures.